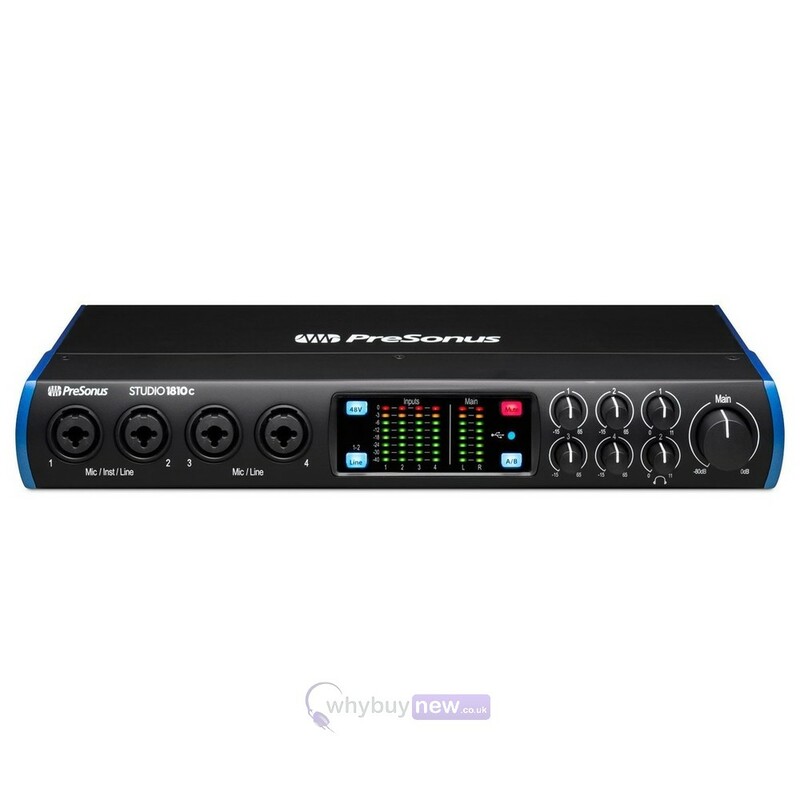 This is the PreSonus Studio 1810C audio interface; a music production solution designed specially for smaller studios and bands breaking into the music industry. 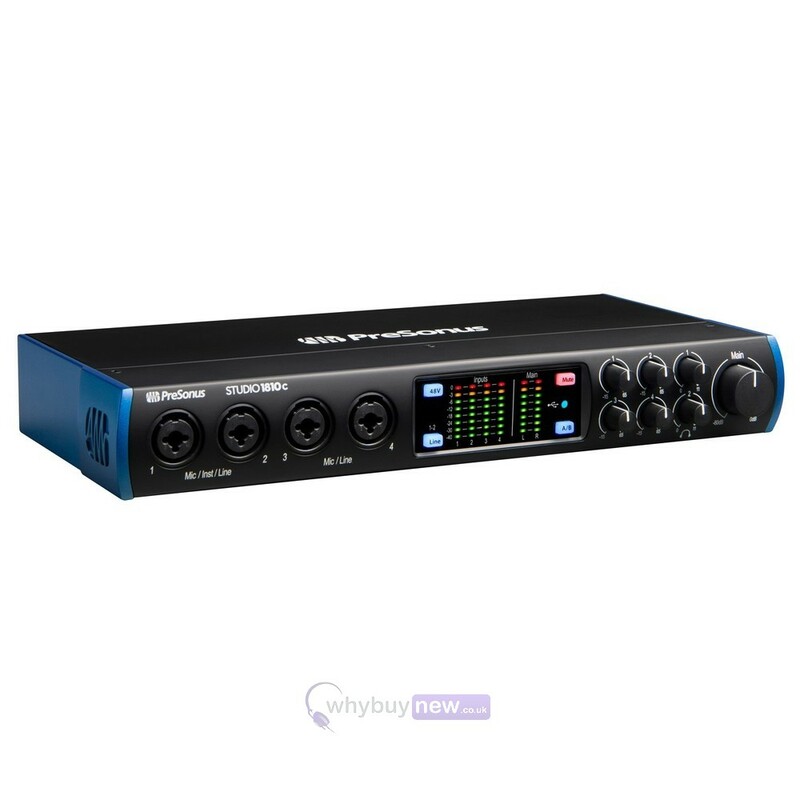 The Studio 1810C is a relatively small device with a large capability; it has a host of inputs and outputs to support various types of audio recording, including 4 mic inputs, 4 dedicated line inputs to cater for instruments plus 2 MIDI I/O for linking production controllers, 8 channels of optical input, and much more. Combine all of this with the free Studio One Artist music production software (plus the Studio Magic Plug-in Suite which is also included) and you have a powerful, versatile and affordable piece of music-making kit. 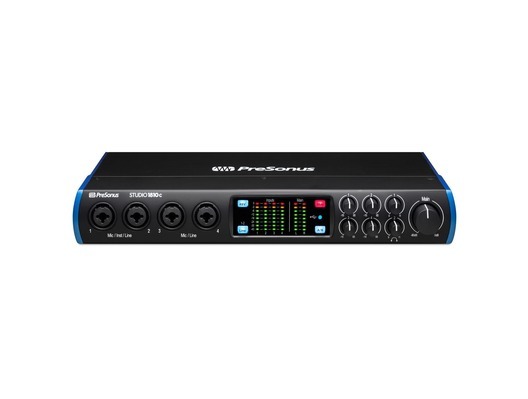 Ideal for producers and small bands who want to record audio from a wide range of sources, the Studio 1810c 192 kHz USB-C audio interface records up to 18 simultaneous inputs, including ADAT and S/PDIF, and features PreSonus XMAX mic preamps, DC-coupled line outputs, and MIDI I/O. A complete, all-in-one recording package, the Studio 1810c offers control-room integration with included Studio One Artist music production software and free UC Surface control software and is backward compatible with USB 2.0 and 3.0 connections. Seamlessly integrated with the included PreSonus UC Surface control software for macOS, Windows, iPad, and Android tablet and Studio One Artist music production software, the Studio 1810c audio interface works with virtually all macOS and Windows recording software. Easy to learn, Studio One enables you to compose, record, and produce without getting distracted by the tools. Need a new loop or sample for your latest production? Studio One lets you shop, audition, and purchase new content right from your production environment - including powerful extensions for Studio One like the CTC-1 Console Shaper and Presence XT Editor. 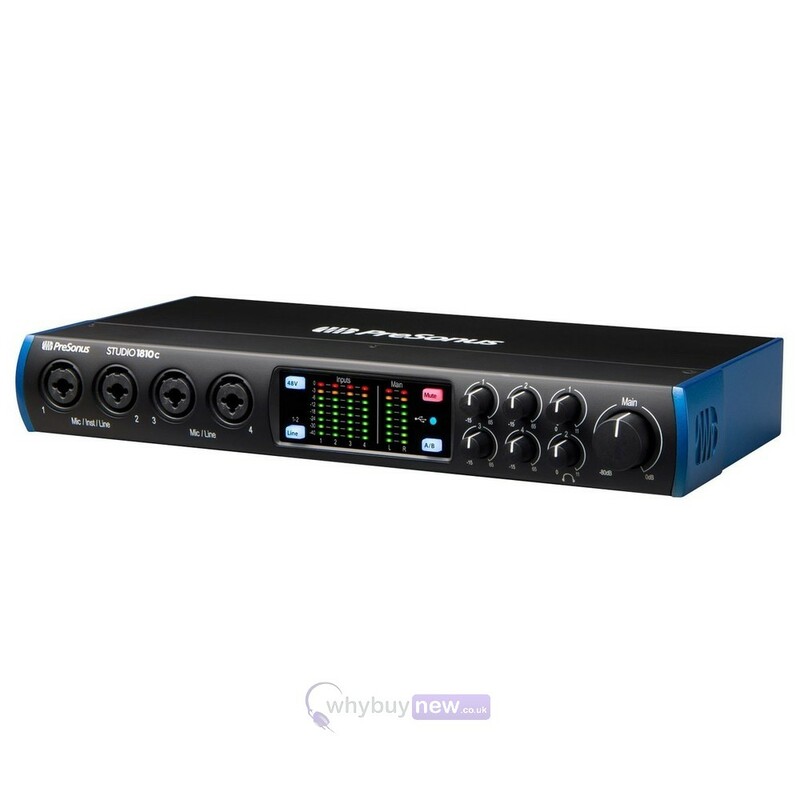 The Studio 1810c audio interface operates at up to 192 kHz for ultra-high-definition recording and mixing. High-quality converters on every input and output and PreSonus' professional-grade XMAX mic preamps deliver incredibly high headroom, deep lows, smooth highs, and a rich overall sound. With cue mix headphone monitoring, onboard monitor mixing, pristine mic preamps, abundant line inputs, and up to 192 kHz sample rate, the Studio 1810c will give you the ultra-high-def sound and versatile connectivity you need to make state-of-the-art recordings and perform live. An excellent companion for any recording software, the Studio 1810c's integration with Studio One Artist and remote control with UC Surface provide a complete and thoroughly professional recording studio.